Are you living in an area where certain sites are blocked from the public access? Then, you have found the right spot as I am going to share the best free vpn for PC users to help you overcome this issue, and let you open any blocked website. VPN stands for Virtual Private Network, and it allows users to surf the web anonymously so that no one can trace your locality or personal details. As a result, you can browse any content on the World Wide Web unless it is password protected or blocked from external access. Without making you waited so long, let’s just get into the core of this post. 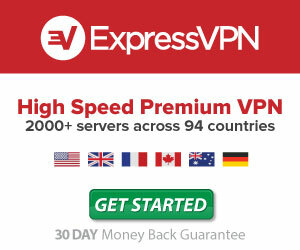 I am going to share some of the best free VPN services with you using which you can access restricted websites. 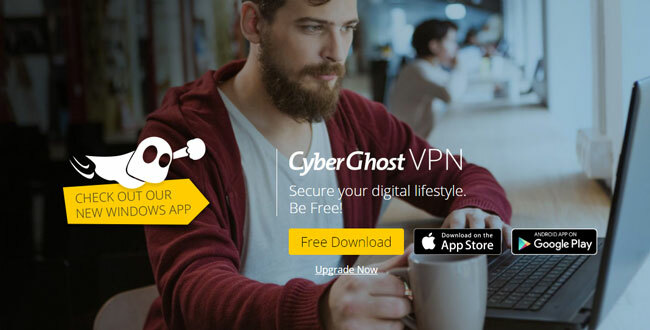 CyberGhost is another popular choice among the people who seek for best vpn for PC, iOS, Mac, and Android. I have firmly gone through their site for the data restriction details. But on the pricing page, they say that all the plans (including the free) come with unlimited bandwidth and traffic. At the end of the day, I found out it doesn’t slow down your internet speed as some FREE service does. It delivers an incredible web surfing speed as well as download. But you cannot download torrents using cyberghost. CyberGhost is also one of my best and recommend tools; I am using its premium plan right now on my laptop, Android phone, and Table PC. Recently they have launched iOS app. 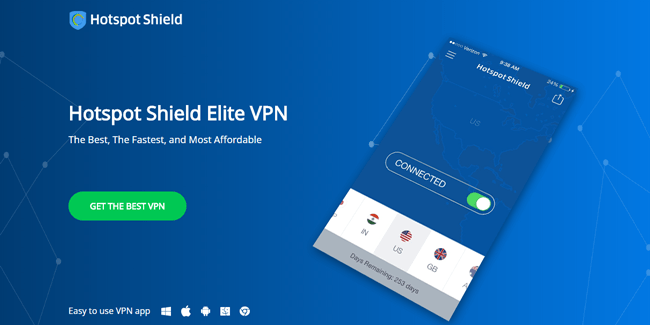 The first tool in our list is Hotspot Shield by AnchorFree which is quite popular and known as the best free vpn software for PC, Mac, Android, and iOS users. As you read just now, it is the software available for Windows and Mac. So far, HotSpot Shield downloaded over 400 million times and featured on many internet giant names such as CNN, Forbes, ABC, WSJ, FastCompany, TheNewYorkTimes, BloomBerg, and Fox. They have users from up to 200 countries right now and growing. Their software is extremely user friendly, easy to use and a one-click button to secure your privacy and internet connection. Their software is extremely user friendly, easy to use and a one-click button to ensure your privacy and internet connection. If you don’t like to use this tool, here are some alternatives for Hotspot Shield which can help you open any blocked website. Though I am talking about free version here, you can purchase their elite version for impeccable, ad-free service. Private Tunnel is an impressive as Hotspot Shield but without the latter’s speed declination. If you are looking for high speed free vpn for PC or Mac as well as smartphone devices, I can’t help myself from recommending Private Tunnel to you as it doesn’t charge you even a single penny for first 2 GB data. It is free for 2 gigabytes bandwidth, but you can increase data limit by referring Private Tunnel to your friends, colleagues, and relatives. Whenever you refer someone and they decide to signup to PrivateTunnel, you’ll get extra data usage. Just like above vpn software they also have premium plans which start from $9.99 per month with the limit of 20GB bandwidth limit. You can protect unlimited devices without paying extra charges. As you can sense reading the name itself, Okay Freedom concentrates more on your freedom as well as privacy. Though the servers are not diversified in different countries (only 12 supported countries at the time of writing) like above two virtual private network softwares, you can select from Switzerland, Germany, France, Britain, and America, etc. The data usage limit may seem like a peanut to you, though. With a Free version, you can browse upto 2.5GB traffic/month, but it’s ad-supported. One of the best features of this tool is you can download torrents as well. Other features are; no registration required, you can secure all browsers, 128-bit encryption, protect WLN’s connection, and much more. OkayFreedonVPN featured on PCMag, Forbes, and ActiveComputer. Check out what Pros say about this tool. 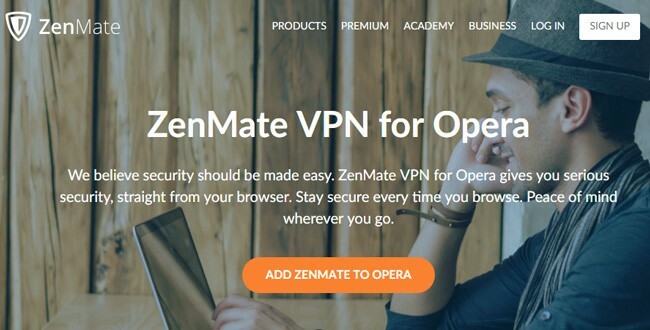 Zenmate is one of the popular cost-free virtual private network providers which protects your smartphones, desktop, internet routers, and web-browsers. No matter what exactly your use is, be it accessing blocked sites or anonymous browsing, Zenmate is going to help you out with their world-class service that never compromises the speed. They have more than 33 million users worldwide who are using ZenMate to secure their online activities. Its browser extension is the easiest way to access blocked websites within seconds. No need of installing any vpn client on your computer. ZenMate browser extension takes few seconds to install and then just a single click, and you’re good to go. The browser extension is available for Google Chrome, FireFox, and Opera right now. VPN software clients are available for PC, Mac, iOS, and Android. 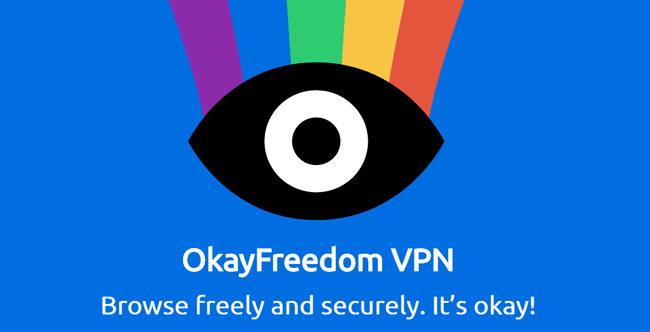 So, you can secure all of your devices using this single free vpn service. The premium version is affordable, and you can get a discount on the regular price if you manage to get a discount code, Get 44% OFF Discount from here. Hola boasts about 90 million worldwide customers of their VPN service and one more free pc vpn also available for other devices. Considering the tons of positive reviews on the Chrome web store, I don’t think you can come across an equally best vpn service. Though you can use their free service without any limit, the service quality is way too higher with the paid service. Hola vpn clients available for all major devices and OS such as Windows, Android, Mac, iOS, PlayStation, Xbox, Routers and SmartTV’s, etc. You can also use their browser extension to open any restricted website and service. Currently, supported browsers are Chrome, FireFox, and Internet Explorer. For non-commercial usage, it’s absolutely free but commercial purpose you have to pay a fee. You can surf censored sites and watch videos without suffering the slow speed problem. You share your IP address with other users – So, big NO from me. 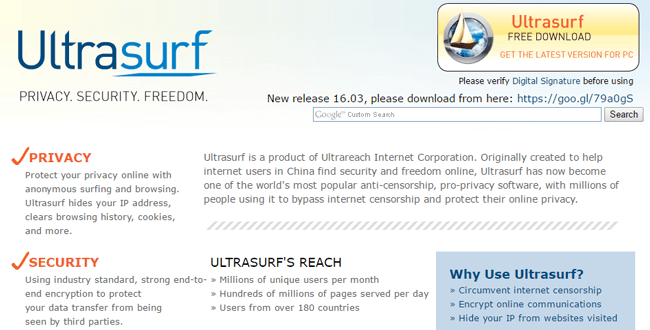 Being founded back in 2002 by a few Chinese dissidents in Silicon Valley, Ultrasurf has grown to become one of the most popular best free VPN for PC lovers in the world with a customer base spreading over 180 countries. At first, the service was only available in China to break the strict site blockage. They have millions of users globally who use’s UltraSurf to bypass internet censorship and open country or geo-restricted websites. They claim 3-5 million unique users per month who use UltraSurf to surf the internet securely. Right now (at the time of writing) they have only VPN client for PC. But, they aim to expand their service circle, and soon I am sure we’ll get vpn clients for mobile phones, Mac and Linux OS. 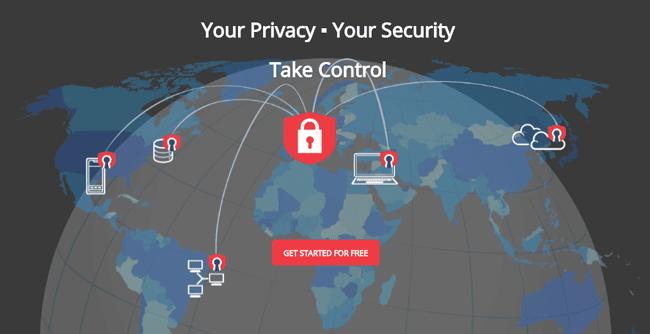 I am sure that you won’t need another resource for free vpn for PC, Android, Mac, or iOS services to go anonymous on the web as I gave you seven of them. All are free with some restrictions, but their paid plans are also impressive and quite affordable. I personally recommend CyberGhost. Recently, I also tried ZenMate and found it an awesome vpn service. Now, I am a big fan of it. Also, you must try HotSpot Shield paid plan. If you think you need further help in finding the right vpn provider, don’t forget to drop a comment down below using the comments section.